The expression “Central Balkans” is used to refer to the core area of the peninsula where key events take place – geostrategically, historically, and culturally. That space could roughly be defined as the territory of Serbia (including Kosovo and Metohija), Bosnia and Herzegovina, and Montenegro, although some might legitimately regard this focus as overly restrictive. It is, however, a convenient starting point for a survey of current political and social conditions in the broader area because of the trend-setting characteristics of these countries, all former republics of the former Yugoslavia (which is now disintegrated). Therefore, the significance of other neighboring Balkan states is not downplayed. Their issues and prospects are also important components of the integral picture. The approach to the “core countries” is to present first a general Background to help the reader gain a better understanding of how local affairs got to the present point; there follows a survey of the Key Issues which the country’s political leadership and broader society are currently facing; and, finally, a Discussion of policy choices and possible future developments. In Part I we will review the current situation and prospects in Serbia, which is the major player in the region. 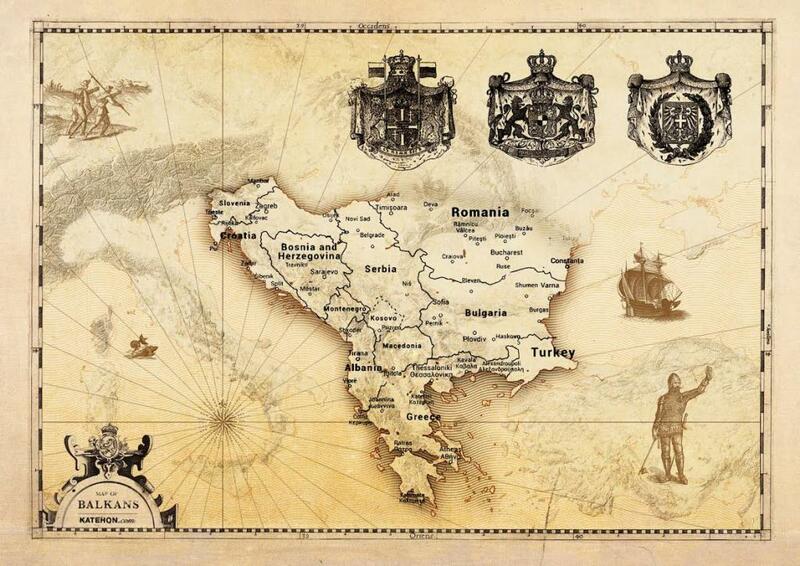 In Part II, which is to follow, we will offer a similar survey of Montenegro and Bosnia and Herzegovina. Background. The current political system in Serbia was instituted after the October 5, 2000, coup that deposed President Slobodan Milošević. It was carried out using methods of what came to be known as “colored revolution.” The methodology developed by Western hybrid warfare specialists became a pattern that was subsequently repeated in a number of other countries. The local Serbian group that spearheaded the operation, known as “Otpor,” soon was professionally reconfigured and renamed “Canvas” (Center for non-violent alternatives). It went on to perform major hybrid warfare subversion tasks outsourced to it by its Western intelligence trainers and paymasters: in Georgia (2003), Ukraine (2004), Moldova (2009), and again Ukraine (2014), to mention a few. After the imposition in 2000 of a pro-Western system in Serbia, regimes and ruling coalitions appeared to vary but the basic thrust of government policy invariably remained the same. This followed the directives of Euro-Atlanticist power centers, often conveyed quite brazenly by their resident ambassadors in Belgrade. A major political shift favoring Western control of Serbia, and consolidating the system that was set up to obediently serve Euro-Atlanticist interests, was the split provoked in 2008 in the ranks of the Serbian Radical Party – at the time the largest single political group and the main anti-globalist political force in Serbia. While the Radicals’ flamboyant leader Vojislav Šešelj was imprisoned on trumped up “speech crime” charges and faced trial at the Yugoslavia Tribunal in the Hague, his top lieutenants Tomislav Nikolić and Aleksandar Vučić, whom he had left in charge, apparently made a convenient deal to change their ideological positions and turn overnight into eager EU, NATO, and Kosovo “normalization” partisans. Carefully disguising the length to which they were prepared to go in championing policies which, until shortly before they were bitterly denounced, and deftly modulating their rhetoric under the guidance of Western PR consultants, Nikolić and Vučić formed their own political organization, the Serbian Progressive Party, taking with them the majority of the former Radicals. As a result of that intrigue, and also two successive electoral victories based on promises they had no intention of keeping, Nikolić is now Serbia’ s President and Vučić is the Prime Minister. Kosovo: The resource-rich south Serbian province of Kosovo and Metohija (Kosovo, for short) holds special significance in the eyes of the Serbian people as the historical cradle of their civilization and spirituality – the central and quintessentially Serbian land which defines the national identity of the Serbs. Essentially, it plays the same role for the Serbs that Jerusalem does for the Jews. As a result of the NATO attack on Yugoslavia in 1999, precipitated by the alleged mistreatment of the Albanian minority, which by that time had gained the upper hand demographically in Kosovo, the province was occupied by a NATO-led international force. In violation of UN Resolution 1244 guaranteeing Kosovo’s status as an integral part of Serbia, in 2008 Albanian authorities in the province unilaterally declared independence with the tacit encouragement and support of the United States and major Western governments (although five members of the EU still refuse to recognize that act officially). Ever since then, the thrust of Western policy has been to pressure Serbia to “normalize” its relations with Kosovo (a euphemism for legally accepting the secession) in return for being allowed to open negotiations on Serbia’s accession to the European Union. The carrot of EU membership, with its imagined economic benefits, has been a major tool in persuading Serbian public opinion to tolerate successive governments’ gradual surrender of de iure sovereignty over Kosovo. As things stand presently, Serbia has agreed to the establishment of what by all accounts is a state – as opposed to merely a provincial – border with Kosovo, including customs duties and other characteristics of frontiers separating the territories of sovereign countries. Serbian administrative, judicial, and educational institutions in Kosovo that remained after NATO occupation in 1999 have been relentlessly and effectively dismantled with the consent of successive Serbian governments. And the remaining Serbs (after about 250,000 had fled the NATO onslaught in 1999) now live in small, scattered, and insecure enclaves, frequently subjected to Albanian harassment. The European Union. As a result of somewhat improved information from abroad, combined with the palpable fallout of the global economic crisis whose effects are now acutely felt in Serbia, and the rise of a visible alternative in the form of a trading block led by Russia, Serbian enthusiasm for joining the European Union has been dampened. However, its attraction still holds sway over a sizeable, although decreasing, portion of the Serbian population. The goal of joining this vaguely known utopia is treated by Serbia’s political elite as an unquestionable political axiom which requires neither the dissemination of accurate information, nor a thorough public debate (let alone an informed popular vote). The fantasy of EU membership has been used rather perfidiously in Serbia as a blackmail device for wringing important concessions from the government at the expense of Serbia’s sovereignty (Kosovo) and economic viability. For example, imposed and largely crooked “privatizations” benefitting marauding “investors” with an inside track, as well as voluntary compliance with numerous EU standards even before accession and without demanding reciprocity, which causes losses in the billions of euros to a weak Serbian economy. The absurdity of this situation is reflected in the fact that major EU countries are continuously raising the bar for opening even the first of the 35 chapters of the EU accession treaty that is eventually supposed to be negotiated with Serbia. As things currently stand, it is a rather bold assumption that the European Union will still be in existence when and if all the requisite conditions for Serbia’s accession are met. In the meantime, the fundamental concessions agreed to by Serbia, in anticipation of its elite’s longed for “European integration,” affect vital areas such as sovereignty, territorial integrity, and economic self-sufficiency and viability. At the moment, the consequences of these unilateral concessions seem to be irreversible, and appear as a rather foolish gamble by the country’s frivolous leadership. NATO. Neutrality is officially enshrined in Serbian law, which would seem to preclude joining any military blocks. Yet the fact that the preamble to the Serbian constitution states that Kosovo is an inalienable part of Serbia has not prevented successive regimes from steadily whittling down their country’s effective and de iure presence in the disputed province. Legal obstacles have not been known to discourage Serbia’s political elite. The neutrality law notwithstanding, Serbia is a member of the NATO “Partnership for peace” program. It recently signed the ominous Status of Forces agreement granting NATO troops unlimited access to the country’s facilities and NATO soldiers immunity for any acts of personal wrongdoing. And NATO personnel currently sit ensconced in the Serbian Defense Ministry, presumably engaged in “cooperation” and imparting “advice” to the military of the same country which they ruthlessly and illegally bombed 16 years ago. As might be expected, NATO membership is opposed by a stratospherically elevated percentage of the population. However, numerous well-financed pro-NATO “NGOs” and lobbying groups are working overtime in Serbia to paint a positive picture of the alliance and the supposed benefits that await Serbia upon joining it. The way in which the equally unpopular NATO membership issue was managed in neighboring Montenegro – before mass demands for the departure of the pro-Western government erupted in that country recently – might give a clue to the way the matter is likely to be handled in Serbia. In Montenegro it was categorically stated by all parties concerned that there was no need for a referendum on NATO and that the ruling party dominated legislature was entirely qualified to settle the issue alone, without popular interference. The stealth, no advance notice, no public debate procedure by which the Status of Forces agreement was recently adopted by the Serbian parliament is probably the model which will be followed to give a fig leaf of legality to Serbia’s eventual membership in NATO – notwithstanding the fact that it is an idea abhorred by as much as 90% of the population. The Migrant crisis and its implications. The influx of hundreds of thousands of migrants from the Middle East and Africa, fleeing from Western unleashed wars and mayhem and understandably seeking opportunities for a safer and more prosperous life, has placed an enormous strain on Serbia, which geographically is an unavoidable corridor for their passage to what they believe are wealthy Western European societies. To make Serbia’s position in this regard even more precarious, in 2007, when the human tsunami now sweeping the continent could not even be imagined (at least not by Serbia’s short-sighted rulers), the Serbian government carelessly signed a Readmission Agreement with the EU. In consequence, a legal basis was established eight years ago for the repatriation today of masses of migrants not wanted by EU countries to the last non-EU country from which they crossed over into Union territory, and that country just happens to be – Serbia. This winter and spring, in addition to an accumulation of severe problems of its own, Serbia will very likely be cajoled into playing host to a huge number of culturally and linguistically unassimilable migrants who keep arriving in a steady stream from the south and will be reinforced by additional tens of thousands from the north that will be expelled by Germany, France, and Holland and dumped into impoverished and devastated Serbia. In what was evidently a trial balloon to gauge the public’s reaction, Momir Stojanović, chairman of the National Security Committee of the Serbian parliament and a ruling coalition protégé who is certainly well-instructed about these issues, stated on August 10, 2015, that he had information that the EU expected Serbia to accommodate as many as 400,000 Middle East migrants and asylum seekers on its territory in the coming period. The strain that will be placed on the Serbian society and economy by the inundation of such huge numbers of foreigners is frightful to contemplate. Sporadic conflicts between groups of migrants from diverse countries as well as assaults against locals are already taking place in Serbia, although most media strive to circumvent and outright suppress this “politically incorrect” topic. The initially widespread sympathy for these victims of Western-inspired upheavals is rapidly eroding as the sheer magnitude and cost of the hosting operation, foisted upon a poor and helpless country incapable of meeting the basic needs of its own masses of underprivileged citizens, are beginning to sink in. The potential of the migrant crisis to engender ugly internal conflict and debilitating destabilization in Serbia is rising steadily. But while relations with Russia could hardly be better on a people-to-people level, on the level of the West-obsessed Serbian political elite it is quite a different story. If deep historic ties make no moral impression on the latter, one would imagine at least that more pragmatic minds among them would concentrate on the accumulating evidence of an irreversible global shift to multipolarity. That is far from being the case, however, and the attitude toward Russia continues to be one of the major indicators of the deep chasm which separates Serbia’s elites from ordinary citizens. Discussion. Prime minister Aleksander Vučić’s recent visit to Moscow and signing of a number of important sounding agreements with the Russian Federation, especially in the military sphere – as well as the last visit of deputy prime minister D.Rogozin to Serbia on a mission to offer assistance for the strengthening of its defenses – should not be misjudged as evidence of official Serbia’s realignment on the global chessboard in the absence of convincing proof of actual performance. The sleaziness of the Serbian political class and their ability to fudge any issue are legendary, second only to their short-sightedness and incapacity to interpret the most self-evident signs of the times. It is most likely that Vučić is merely trying to placate overwhelmingly pro-Russian public opinion ahead of impending elections and is attempting, ineptly, to play a pathetic double game with his Western sponsors by sending a message that if necessary he could secure backing in other quarters. His pointed remark during the Moscow visit that, after all is said and done, he still prefers to have a merely “pragmatic” relationship with his hosts who, incidentally, are offering a lifeline to his faltering country, is an indication of his lack of principle as well as the fundamental shallowness of his calculations. Another compelling reason Vučić might have to try to diversify his options is the justified concern that his Western curators may be preparing to dump him. The Macedonian Prime Minister Nikola Gruevski was, after all, an uncomplaining instrument of Euro-Atlanticist policies to the very end until, for inscrutable reasons or merely as part of the routine housecleaning of used-up marionettes, he was subjected by his masters to a wave of color revolution unrest in the early part of last year. After some feisty resistance Gruevski apparently got the message, agreed to a transitional arrangement, and is now on his way out. The discouraging example of Montenegro’s Milo Djukanović – a veteran 25-year vassal of Western policy who is currently under intense pressure to depart and facing professionally managed street disorders which bear the unmistakable stamp of a Gene Sharp/Otpor/Canvass phony revolution – must also weigh heavily on the mind of the Serbian Prime Minister as he contemplates his narrowing political choices. Vučić’s opportunistic “tilt” toward Moscow should, therefore, be assessed with deep skepticism until there is practical confirmation in the form of a full spectrum reconfiguration of Serbia’s foreign and internal policies. There are at least two abiding mysteries in Serbia today. One is the apathy of the destitute and futureless population, apparently incapable of self-organizing to demand even a modest improvement in its condition. The other is the equally puzzling indifference of Russia to the vast social reservoirs of good will and support it enjoys in Serbia, stubbornly preferring to conduct largely useless interactions with the governing elites to a direct dialogue with the people. If the Russian Federation is serious about reestablishing its superpower credentials it should treat Serbia as a frontline state, no less vital to Russian national security interests than Syria. The fall of Damascus would inevitably lead to a shift in the battlefield dangerously close to the Russian heartland; the definitive loss of Serbia to NATO and its complete absorption into the Atlanticist-dominated political structures of the EU (whether or not Serbia is ever admitted as an EU member is a mere formality as long as its leadership faithfully carries out all instructions) would similarly undermine Russia’s forward positions in Europe. Russia’s use of “soft power” tools in Serbia has been woefully desultory and inadequate. Few attempts are being made to present and explain Russia’s position on the major issues of the day to a nation that would be intuitively receptive. On the other hand, the propaganda of Russia’s geopolitical opponents is relentless, although its promoters are fully aware that they are waging an uphill battle. They are betting on a long-term victory by default. To achieve results, Russia’s effort must be imbued with vision, professionalism, and consistency. Even such an elementary step as establishing a regional Serbian language television channel similar to the enormously successful RT (Russia Today) has been languishing on the drawing board for far too long. Russia should urgently rethink its approach to Serbia. While realistically it must deal with whoever happens to be ruling the country, for its regional interests to be secure its main interlocutor must become the Serbian people.